Lexar is back...or at least soon will be. That's great news for Nikon. In June, Micron dropped a major bombshell in the camera memory card market which affected Nikon professional level DSLR users probably more than photographers using other high end DSLRs. Micron announced the that they were shuttering their entire Lexar brand. 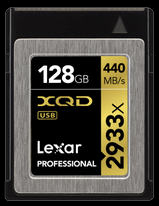 When Lexar closed, for Nikon professional level DSLRs equipped with XQD memory card slots, that left Sony as the sole manufacturer of XQD cards. When they shuttered Lexar, Micron didn't just stop manufacturing XQD cards. They discontinued the entire Lexar retail business line, including memory cards, USB flash drives, card readers, and other storage drives. On Sunday, November 5, 2017, most of the U.S. will switch from “Daylight Time” to “Standard Time.” That's most, but definitely not all of the U.S. Arizona, except for the Navajo Nation, Hawaii, American Samoa, Guam, Northern Mariana Islands, Puerto Rico and the U.S. Virgin Islands don't switch to “Daylight Time” in the spring, and back to “Standard Time” in the fall. They stick to “Standard Time” year-round.